Come for the day– and stay for a lifetime! 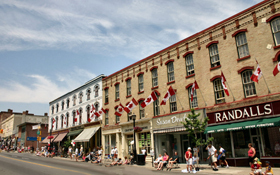 Let me help you discover this beautiful area that lies only an hour east of Toronto. Whether buying or selling ... your first home, your dream home or your retirement home, let me help you navigate through the Real Estate maze. Helping you is what I love to do!